Please Visit TheseChristainTimes.com for more news and events. SCROLL DOWN FOR VIDEO: The government office investigating UFOs in Chile has released an analysis of two high quality photos showing what appear be genuine unidentified flying objects above a remote copper mine. The office, known as the CEFAA (Committee for the Studies of Anomalous Aerial Phenomena), is located within the Ministerial Department of Civil Aeronautics (DGAC), the equivalent of our FAA, under the jurisdiction of the Chilean Air Force. It is responsible for the analysis of selected reports of unexplained aerial phenomena in Chilean airspace, most of them from pilots and aviation personnel. NASA Book Suggests Ancient Rock Art Was Created By Extra-Terrestrials. Prepare Your Heart And Mind For The Coming Deception. SCROLL DOWN FOR NEWS LINK AND VIDEOS: Do you really think that Aliens are real? What is the push behind the alien agenda? Why do they want to tell us that heavenly beings from another galaxy have visited us? Do they want to tie this with a rapture event? Imagine for a moment millions of people disappearing in a twinkle of an eye. How would they explain that away? We have been conditioned through movies and science the possibility of Alien life existing. We are not unique according to experts. Prepare your heart and mind for the coming deception. It will be so deceptive that even the elect will believe it. WHAT IS THE IDENTITY OF THESE HEAVENLY CREATURES? DAILYMAIL ONLINE: Each month a new planet is discovered that bears similarities to our own – and it is becoming increasingly apparent Earth is not unique. So it stands to reason that of the billions of Earth-like planets in our galaxy alone, there might be another that hosts life. Some of the most interesting chapters tackle the issue of alien communication in the past, present and future. WHAT IS THE MYSERY OBJECT SPOTTED ON GOOGLE MOON? Alien Base, Giant Spaceship, or just another Hoax. CLICK ON LINKS, READ AND WATCH VIDEO ON BOTH ARTICLES POSTED UP BEFORE CLICKING ON THE SECOND VIDEO: I have two articles on the mystery object spotted on the moon. WowForReeel has a second video that consists of a similar object found in Antarctica. If you want to know what the object could be you have to click on the links before you click on the second one to get a full understanding of it. I don’t know what it could be, but I thought I put it up for you to decide. Remember last days will soon play out and be careful of the great deception knocking at your front door. DAILYMAIL ONLINE: Is it part of an alien spaceship nestled under the dust of the moon, or a secret moon base occupied by humans? The two-sided, triangular feature on the lunar surface, was uncovered by paranormal researcher WowForReeel and posted in a new video. It can be found on the Google Moon viewer at coordinates 22042’38.46N and 142034’44.52E. ‘Is is just a weird looking crater? or is it something else?,’ he asks. TEACH AND GAGET NEWS: A strange, wedge-shaped anomaly has been found on Google Moon which doesn’t look like any kind of natural formation known to occur spontaneously, even for Earth’s satellite. Can it be an alien UFO Moon base? A giant spaceship? 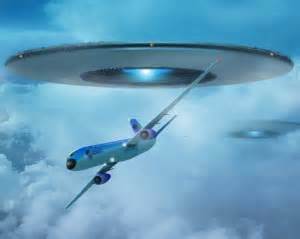 MIRROR WEBSITE: A terrified airline pilot ducked to avoid a UFO he feared was going to smash into his plane at 34,000ft. Looks like all the buzz on the crop circles that made headlines 4 days ago in California is nothing more than a Hoax generated to get publicity. The design is nothing more than a new mobile chip. Read more below to understand what the design is for and what it has done for the company. Turns out, it wasn’t an alien creation. We now know the source of the mysterious crop circle that turned up in the small town of Chualar, about two hours south of San Francisco. And it turns out a lot of the speculation about what the viral photo might be was correct. CNN: Sorry, dear readers, but the crop circle discovered last week etched in a farmer’s barley field in Chualar, California, was not created by aliens.